← Evil Dead Remake… No, not that one. 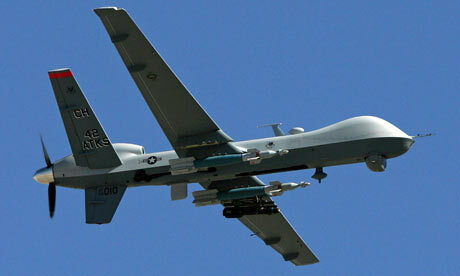 Drone Strikes on U.S. Soil? So I figure it’s worth a discussion. As I read it, it looks like they’ll use the drone(s) to monitor the border in case he tries to cross into Mexico, so it isn’t like they’re using them to patrol the streets of Los Angeles. But even given that, what do you think of this? Do you think that anti-immigration groups may want to use this more actively to discourage illegal immigration? I’m interested in your thoughts, feel free to add them to the comments and I know this might be a heated issue so please keep it civil.